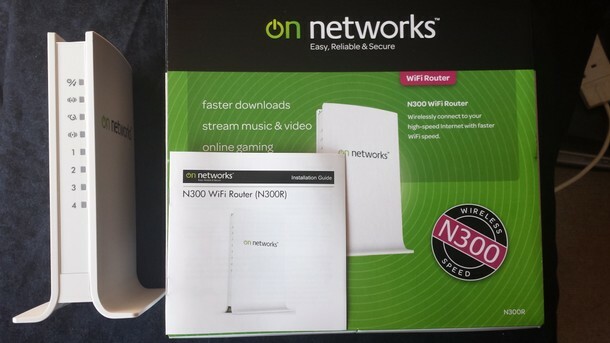 The "on networks" N300R is a cheap and functional single band (2.4Ghz) router that provides very good Wi-Fi coverage, fast speeds and a simple management interface. 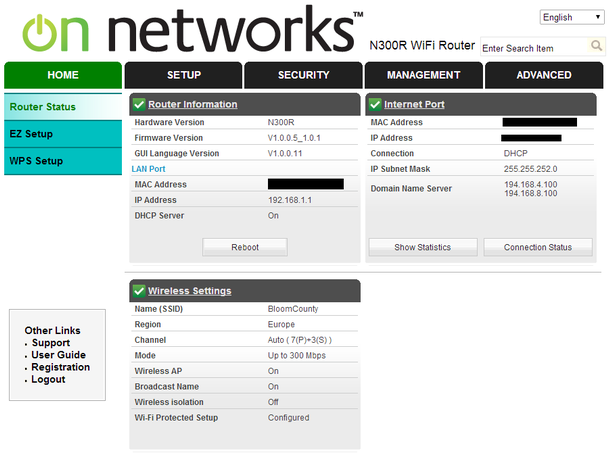 At it's heart it's a Netgear router with simple lines that seems at home most anywhere. The novice user can have the kit up and running in a matter of minutes and it seems to handle all traffic thrown at it so far with no problem. After four month's solid use I cannot find any real issue with it at all. It may not win any beauty pageants but I quite like it. It's a simple "bookish" design, some may say bland austere, with no external aerials or other projections. 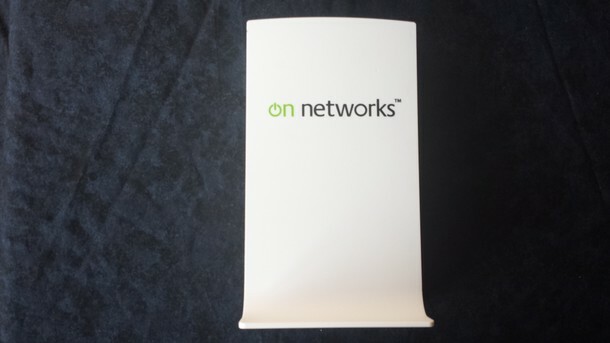 It's a bright white colour with the "on networks" logo printed on both sides. 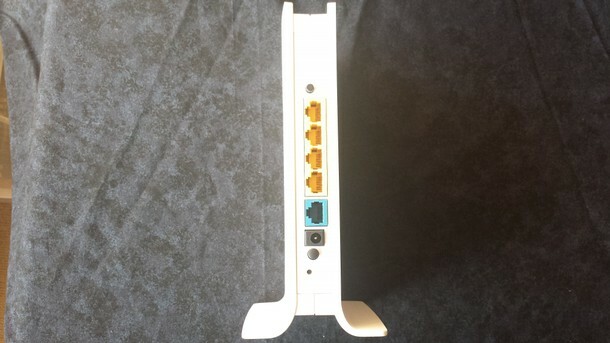 The front panel has 8 LEDs for power, wireless connectivity, modem connectivity and Ethernet connections while the back panel has sockets for the 4 downstream LAN ports (yellow) the upstream WAN port (blue) and the power lead. Apart from the power and WPS buttons and the reset hole, there is nothing else breaking up the design. The installation was straight forward and pain free and followed the process shown in the accompanying quick installation guide. 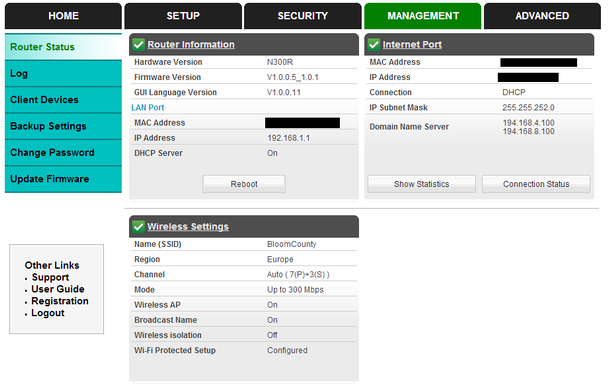 Once installed, the user is invited to use the web based management console to configure and personalise the device. The process is painless and completed for me inside a minute. 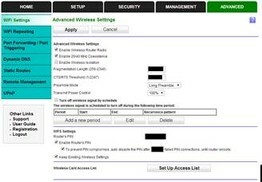 Once completed, I connected my other wired devices (a minute or two each), then the wireless ones (quick scan, enter passphrase, test connection). 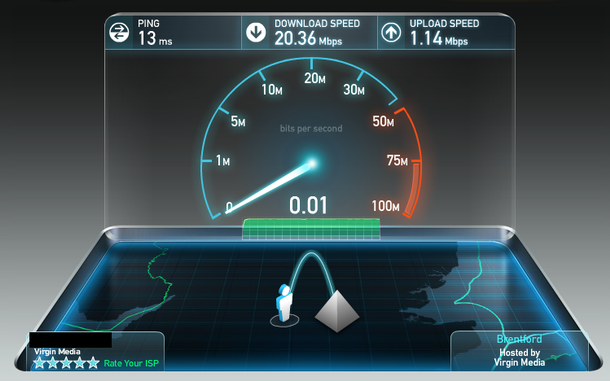 Upstream, I am connected to a Virgin Media 20 Mb/s line which I usually get 24hrs per day. It's rare that I get less than 15 Mb/sec. I have tried connecting the following devices all at once - 4 Phones, (2 Android, 1 Apple, 1 Blackberry) + 3 Games consoles + 1 Media server + Main PC, Home laptop, Notebook, Work laptop (with VPN to corporate network) + iPad - The router handled it without too much effort, although streaming video from the media server AND the internet while my son was playing FIFA14 online did seem to slow down traffic somewhat; FIFA played ok with some lag and the YouTube feed started to buffer a lot after a while. 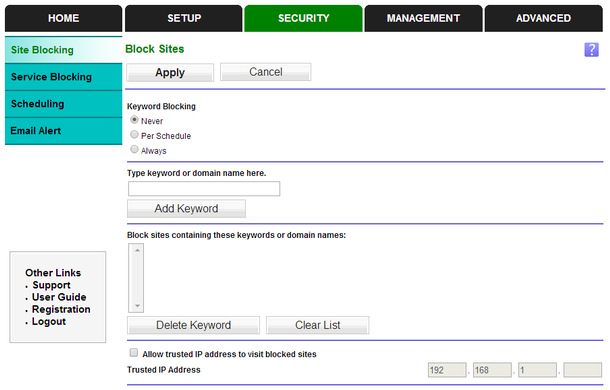 The device is accessed and managed via a series of web pages covering the basic and more advanced options. 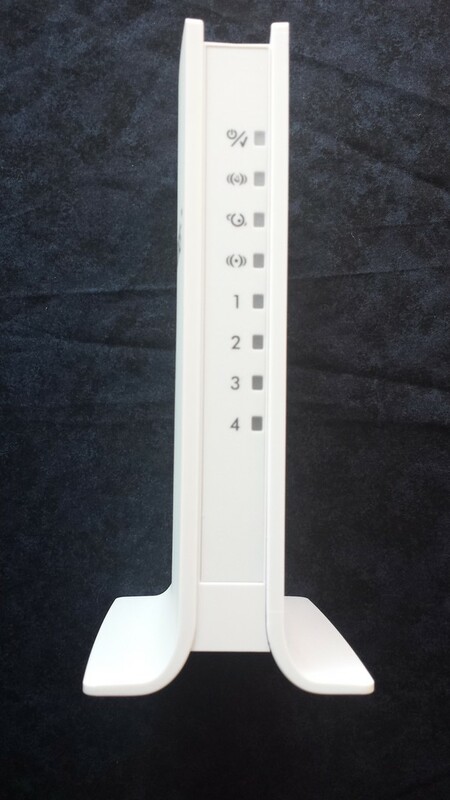 Like the router itself, its clean and simple to use. Requesting HELP sometimes takes you to the online manual and some information may be considered lacking, but overall it's a usable system. 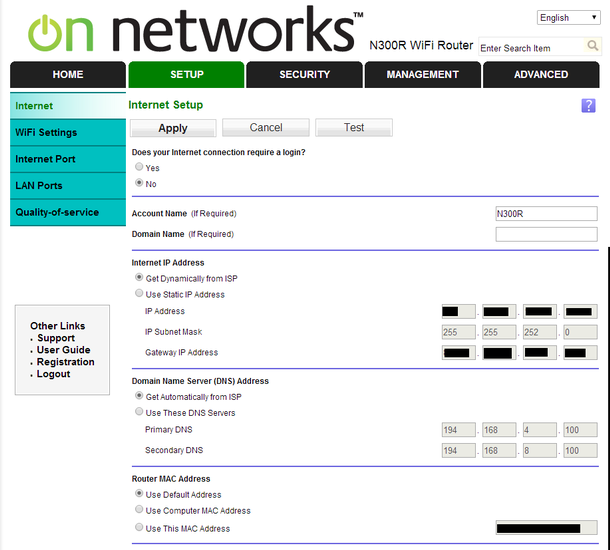 A number of the pages are accessible from various routes (connected devices can be displayed in-situ, or as a pop-up depending on which option is clicked). The device can be controlled remotely if required. 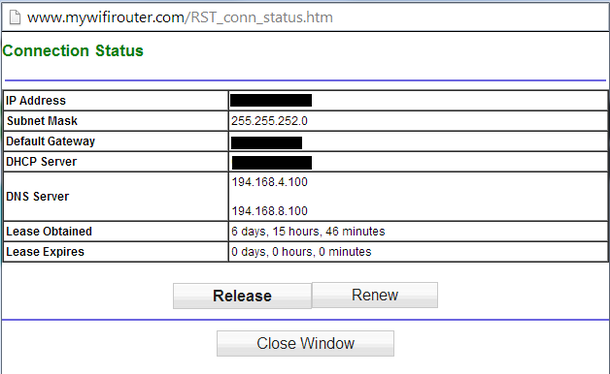 This is disabled by default but can be enabled via the "Advanced Remote management" tab. The following pages show examples of the pages and should not be considered a "how-to". · It does exactly what I want it to do, no more, no less. · I would like to see a "single" summary page showing the connected (and discovered) devices and their statistics. 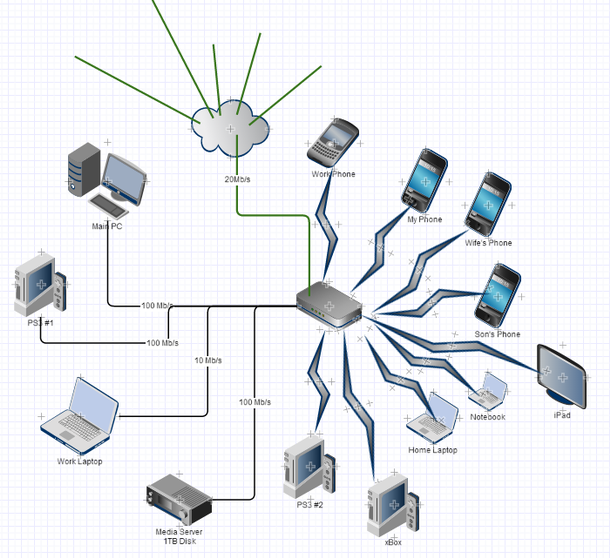 At present the currently connected devices is presented on one page and the statistics presented on a pop-up making fault diagnosis a little more troublesome. · I have had to reboot the device twice in the last 4 months, once as it randomly locked, and once after a firmware update caused a network hang. 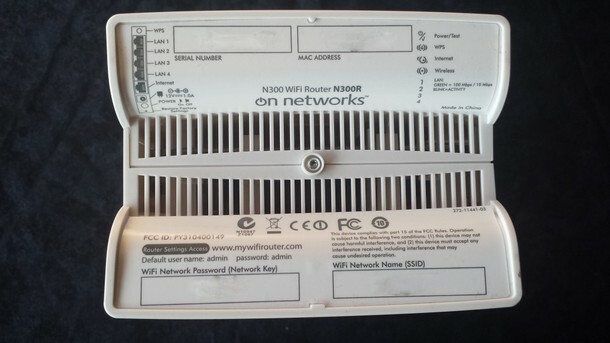 This review is intended to highlight the benefits and limitations of the router, not provide details on how to use it. Where guidance or notes on use are provided, these are the reviewers observations at the time of review and may not necessarily represent the best, easiest, recommended or proper use of the system.